Get yourself your very own hookah so that you can have your hookah fix anytime! Check out our recommendations below of five extremely cool places to land some good stuff from. 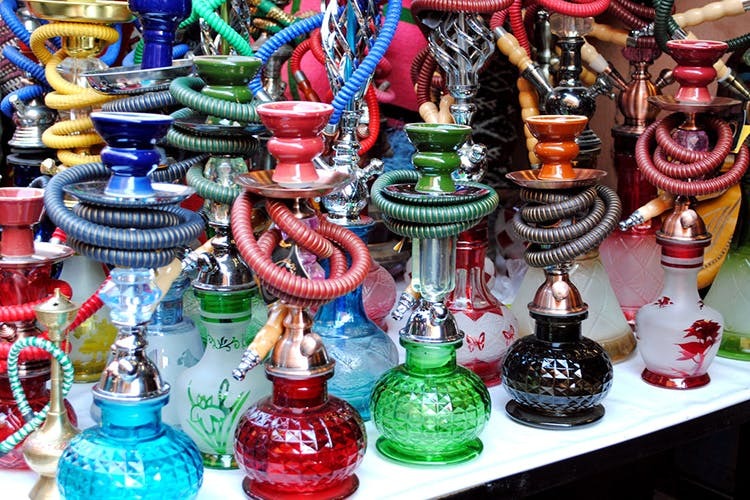 From intricately designed crystal hookahs to normal metal bodied hookahs, Sheesha Paradise has got it all! Located in Viman Nagar, the store offers a wide assortment of hookahs, lighters and other tobacco related accessories. Priced between INR 700 – 7000 a piece, Sheesha Paradise is definitely a hookah lovers paradise. Although a paan shop, KGN also has hookahs in store! Priced between INR 400-1400 a piece, they offer not just hookahs but also other tobacco related products, soft drinks, snacks to munch on while you get a remedy for your hookah fix. Don’t forget to hop in and check out their goodies! A popular favourite, this little store located on Fergusson College Road, is the ultimate hookah store. Don’t let their size fool you! Sheesha N Flavours offers a fantastic range of hookahs of all sizes. Priced between INR 550- 3000 a piece, it really does seem a like very sweet deal. Zaika offers an exciting range of hookahs priced between INR 500 -1200. Apart from hookahs, they also have an interesting collection of lighters, hookah flavours and a well stocked cigarette collection. Located in KP, Little Goa can solve all your hookah related needs. Apart from their traditional brick and mortar store, they have a well equipped online store, that offers killer deals. You can also get your hands on hookah flavours and accessories. Priced between 600-7000 for a piece, you will be spoiled for choice here!